A couple have been left distraught after they claim their wedding venue cancelled on them just 12 days before their big day 'because they are travellers." Ellemay Gumble and Luke Booth, both 18, were excited to get married at Orsett Hall, Thurrock, on March 18. But Ellemay claimed she received a call from the venue on Wednesday saying they had cancelled the wedding - and asked them to collect the £15,000 they had paid "immediately." She claims when she went to the venue with her dad a security guard said he was told that the wedding had been cancelled because we were travellers. Ellemay told Essex Live : “We have had the wedding planned for nine months with them and it’s all been paid for. “I’ve been to spa and open days there too and everyone at Orsett Hall knew that there were travellers coming to the wedding. “They rang me and said they have some bad news. "I thought it was something silly like a timing issue. "But then she said the wedding has had to be cancelled. 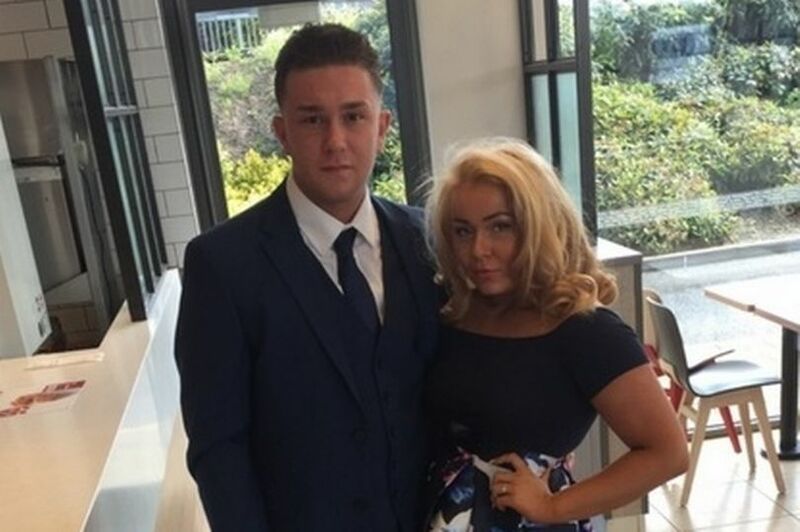 Ellemay and Luke had paid around £15,000 to Orsett Hall for the room, ceremony, food and decorations. With little indication as to why her special day had been cancelled, Ellemay and her father drove to the luxury venue. When they arrived, they were hoping to speak to a manager, however were ushered into a room by a security guard the owner had hired. She said: “The manager refused to meet us. A security guard was hired by the owner. “We walked to the reception and they directed us to another room. "Again, we weren’t told anything but the security guard said he was told that the wedding had been cancelled because we were travellers. “They knew that we were travellers and some of Luke’s family have had weddings there so they are well aware. “We had to fight to get a cancellation form. Our wedding licence was only valid for that venue too, so we’ve had to ask the registrar to change it for a different venue. The pair were hoping to jet off to Tenerife on their honeymoon the day after the wedding, but with the possibility of the wedding not happening, they could lose out on hundreds of pounds. Ellemay said: “We will lose the cake, the photographer, all the things we had coming to the venue like a photo booth. With the day in jeopardy, Ellemay rang round different venues to see if they could spare a room at such short notice. “Thurrock Hotel could not believe what they have done and very kindly given us a room on that day. But we still have to wait to get the licence approved," she said. Orsett Hall declined to comment when approached by Essex Live.